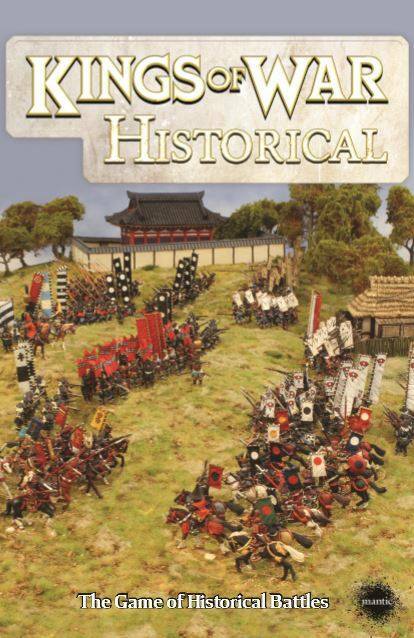 As we count down the final week before the War Kings GT, it is time to highlight another sponsor - Hidden Forest Gaming. I first heard about Hidden Forest from one of our war kings members who had participated in their first kickstarter. I saw and jumped on their latest and was very glad I did. One of the immediate surprises for me was that this is actually a local company - an even better reason to support them. 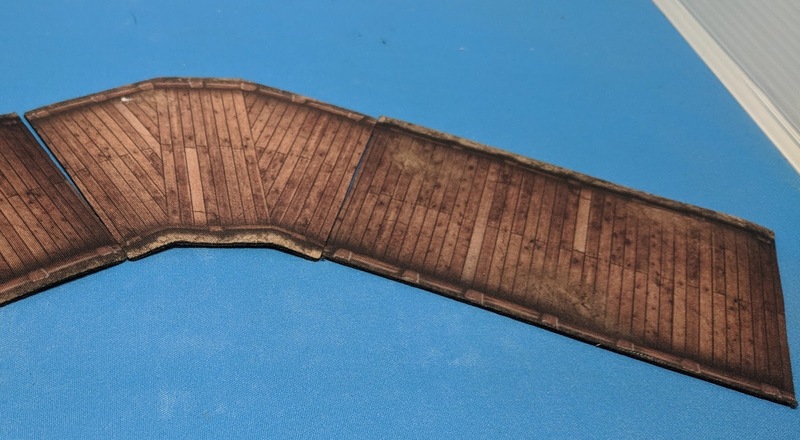 At one point, they had a few misprinted snow mats. Their website showed a closeup of where the pattern was repeated - and it didn't seem a big issue to me. 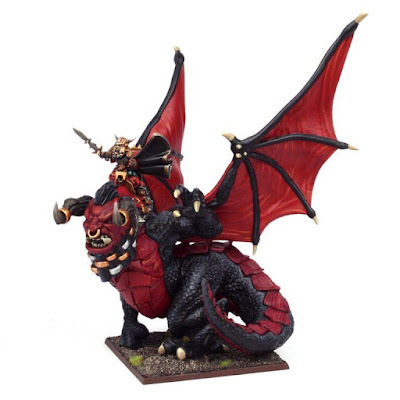 I got on and ordered two of them simply because of the price. They got back to me and said they only had one left, but would send me either a grass one or I could wait for the new snow mat. I took the grass one - because I was looking for the best price. The snow mat is excellent, and I honestly can't find the misprint even when I look for it. 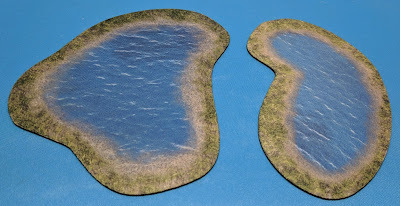 Right now I have five of their mats - The old snow mat, the old grassy mat, the new grassy mat, the swamp mat and a desert mat. The carrying cases are sturdy (and inexpensive, I got a separate one to hold the mat my wife got me from amazon that came with a horrible bag). 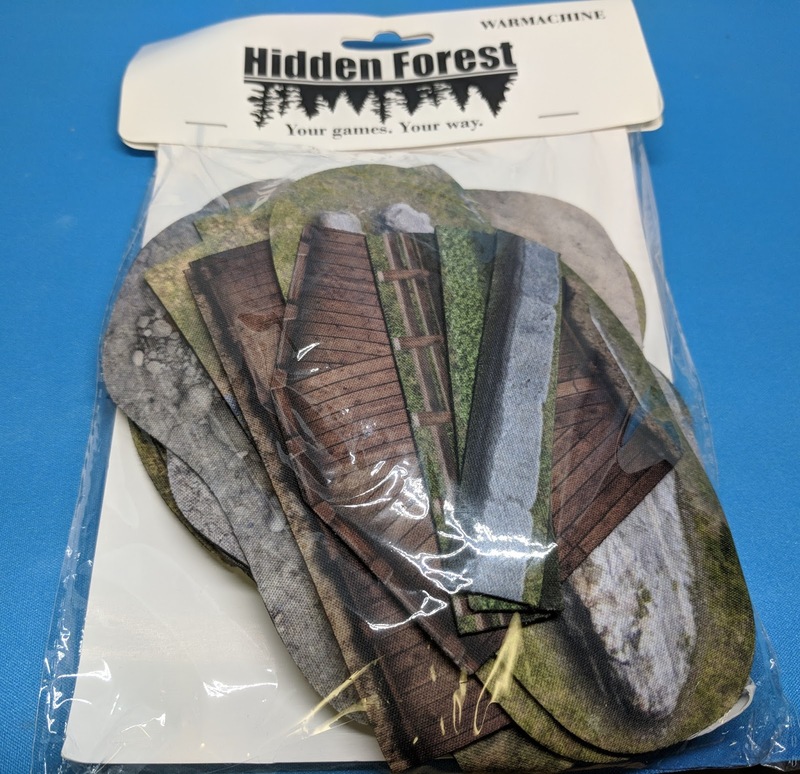 I also have a bunch of their neoprene flat terrain - mainly their forests sets that are excellent as a base to define the actual shape and area of a section of woods - just add a few trees that can be moved as needed and you are good to go. 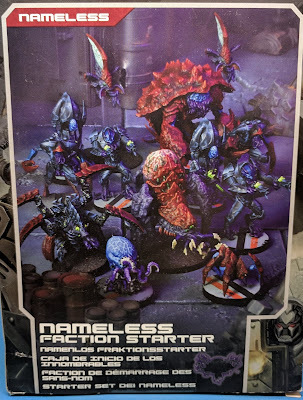 So when I got my package the other day, I was pleasantly surprised to find some of their terrain. 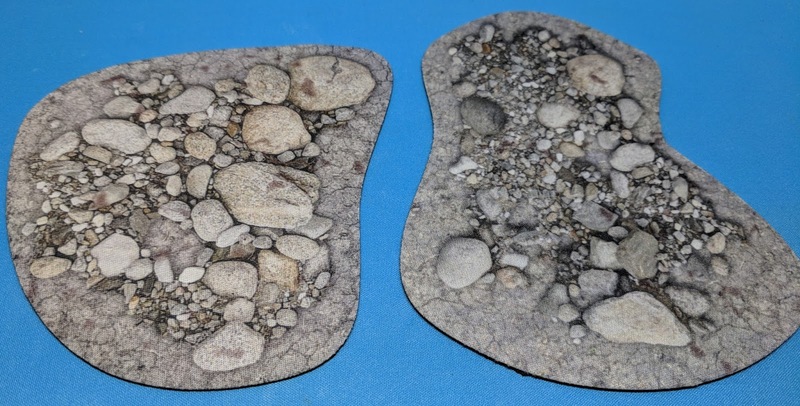 There were two sets of their Warmachine terrain (I guess Warmachine likes flat terrain). I opened a pack to take pictures, and was a little surprised at how many pieces were in it - 18 in all. Now as a slight aside - the response from sponsors has been phenomenal. You may have noticed how many we have from the event site on Facebook - or simply the number of posts about them here. So many in fact I've had to start posting every day just to keep up (and still may not finish before the tournament). As such we have so many prizes that EVERYONE will walk away with something. 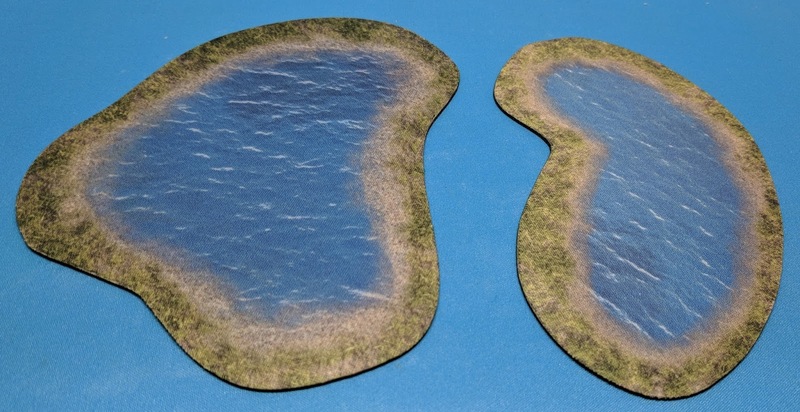 So I had 36 pieces of neoprene terrain - it then occurred to me that it might go better to spread out the love rather than only let two people see these. So I opened both bags - and every player will now get a piece of Hidden Forest Terrain to use for their own games. Ok, so what are people getting? Well the first are their obstacles - hedge, fence and wall. 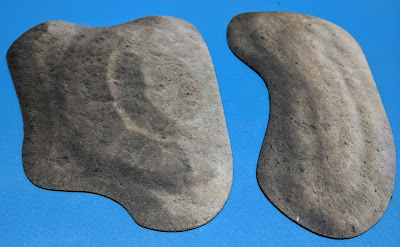 These have the same advantage that the neoprene forests have - you can easily move models over them. 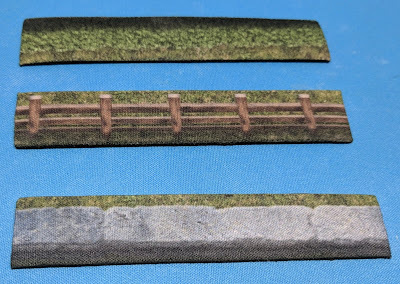 I still prefer the full 3D versions, however putting these underneath the 3D terrain for when a model is on top of it can make it work much easier. The two packs had one of each (plus I had a snow pack from their kickstarter that I wasn't using, so threw those pieces in as well), so in total I had 9 obstacles. Since these are kind of small - I threw them in randomly with other pieces! Each pack also had three bridge segments - two straight and one 60 degree corner. I split these up into pairs. What occurred to me is that these bridges are nice, but they need a river to cross. River pieces would be a great addition to this line (and one I would be very interested in). One of the pieces I link and feel could be very useful are their ponds. Water is, by definition, flat, so this doesn't actually take anything away by not being 'thicker'. Again, rivers would be a fantastic addition (and have a piece that could overlay a spot on the ponds to connect them all together). So there are five ponds in the swag bags. I'm not really thrilled with the flat houses. For Kings of War at least, these are blocking terrain, so nothing can land on them. 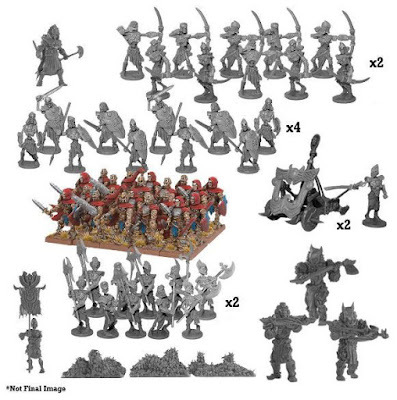 Not having any height, they don't appear to block line of sight, which is one of the main reasons to have them on the table in the first place. 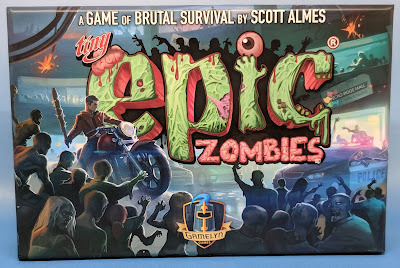 Six of these are in the swag bags. In addition, there are rock formations. 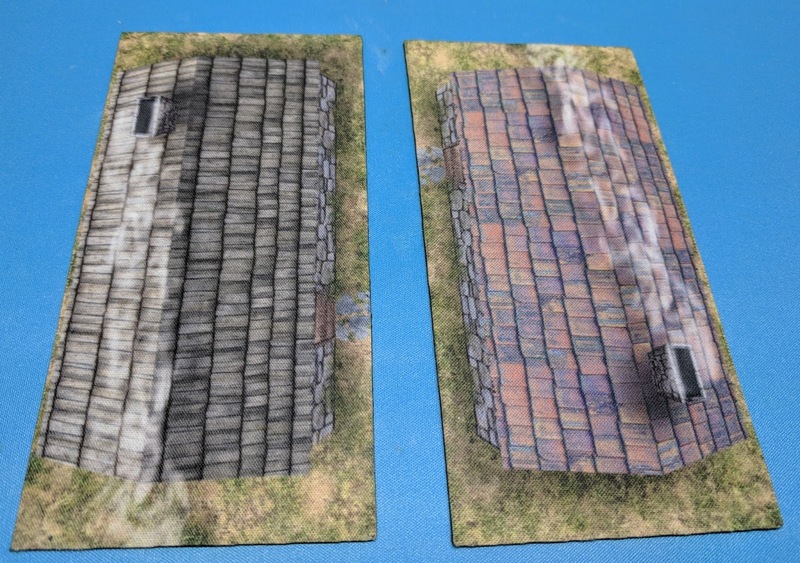 For Kings of War, these serve the exact same purpose as houses (i.e. 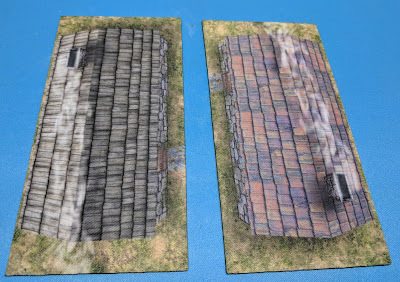 blocking terrain), and have the same issues. Oh, and the shot was taken at an angle - these two are actually identical. Six these are in the bags. 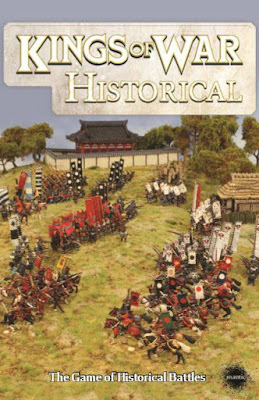 Of course I like their woods - so the Ohio War Kings are keeping the four additional woods to use in our events. Difficult terrain can be used defensively, and like woods and obstacles - having realistic terrain conflicts with the usability in the game. 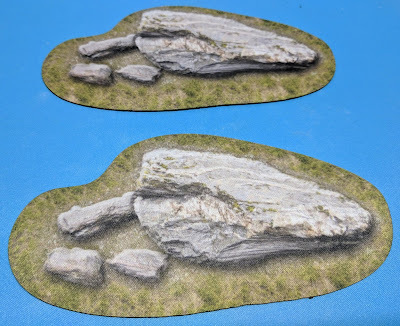 So having these pieces to define an area of difficult terrain with or without additional 3D elements are really useful. Five of these are in the bags. 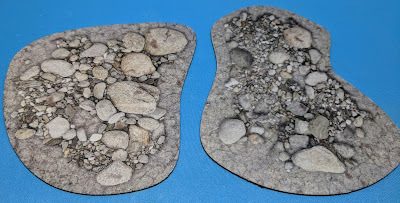 There have been quite a few discussions on Facebook about hills - and the terrain pack contains two of them. These are pieces that models need to be able to move on/over, so being flat makes game play easier. However they also block line of sight and provide elevation, something that is easy to miss from being completely flat. But on the other hand, hills can be difficult to make usable - either too high or more often too steep - and to actually give proper height they often can't be 'realistic' at all. So this is actually a big toss up. Six are in the bags. 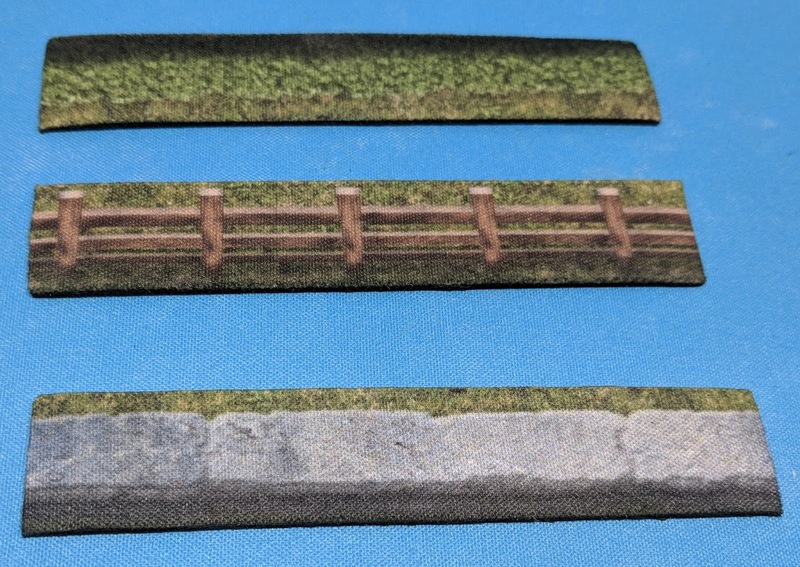 So everyone gets a piece of terrain to try out. How do you feel about flat terrain, and which pieces are your favorites?